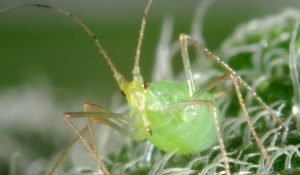 Rothamsted Research has secured government funding to kick-start its new five-year strategic programme, Smart Crop Protection (SCP), to control sustainably the pests, pathogens and weeds that destroy nearly a third of crops grown worldwide. The investment of circa £6.3 million covers the programme’s first three years. • Industrial Biotechnology Catalyst: Seeding and Feasibility – the project supports the UK being a world-leader in industrial biotechnology by enhancing access to innovative products and processes, reducing reliance on ‘fossil’ carbon and helping to meet climate change targets. • Agri-Food Technology Catalyst: Seeding and Feasibility – the project will contribute to increasing productivity, sustainability and resilience of the UKs Agri-Food sector whilst maintaining food security and export opportunities post-Brexit. • Smart Crop Protection: Increasing Supply-Chain Resilience – the project will improve crop productivity by using the latest technology to detect, monitor, predict and control pests and diseases of crops.